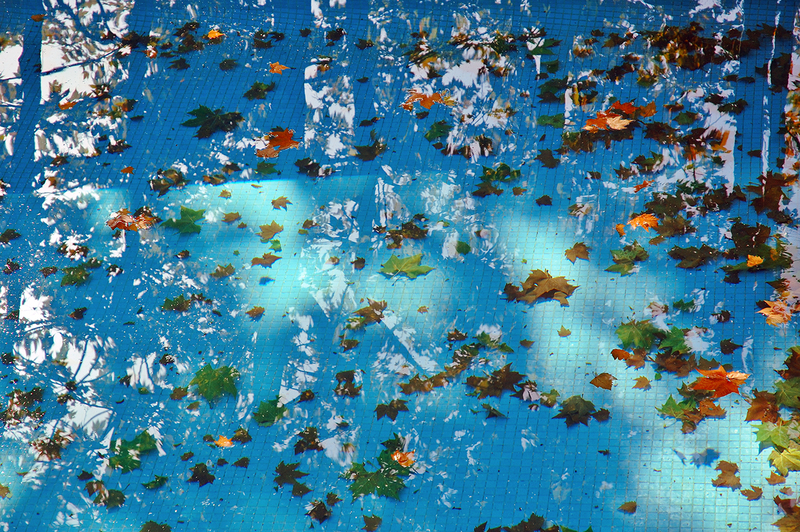 Just some fallen leaves on someone's swimming pool. Nothing more to say today. My thoughts went blank on this one. I like the red leaves though. Of course sailor girl! I have checked Atlantic Blue and I liked it very much. In fact I was happy you used my image. Thanks. Do leaves turn red often over there? Here... well, it's on our flag, for pete's sake!